A marathon over a tough terrain of Kurgan republican complex, in Petrozavodsk, was organized by Run Start school on May 12 with support of the Ministry of Sports of the Republic of Karelia. Participants who crossed the mountain terrain were awarded unique medals made of shungite. It is important to note that it is not the first sports program organized by Run Start, which exists only for 3 years. One of the examples is a semi-marathon LumiKarjala, route length of which was 21.1 km. 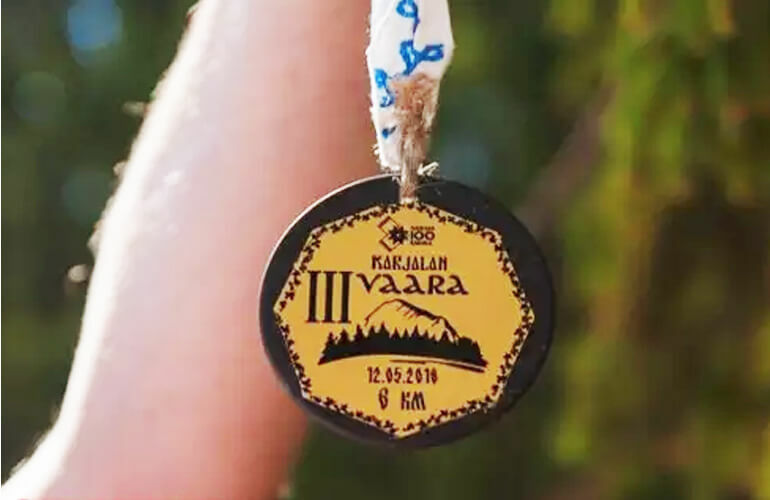 This semi-marathon took place in a forest in the domain of Karelian Santa Clause, Talvi Ukko, during winter time and was visited by 300 runners from Karelia, Saint Petersburg, Moscow, Tver, Ekaterinburg, Lipezk, China, and Finland. Another set of events is “ScandiKarjala. Legends of White Nights:” festivals of Scandinavian walk. The next upcoming festival is on June 30; it will take place at an astonishing natural terrain of Ruskeala mountain park.